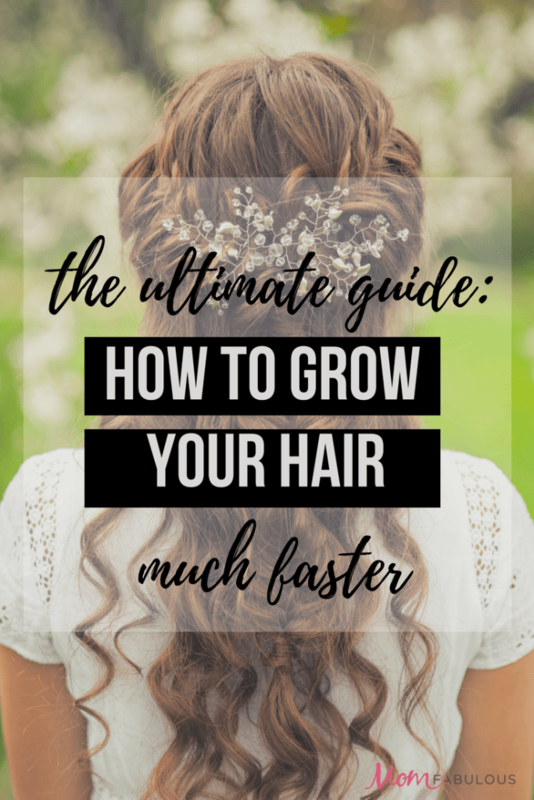 Welcome to The Ultimate Guide for How to Grow Your Hair Faster! If you are wanting to grow your hair out and are looking for tips & tricks, you’re in the right place. This is a topic that has been very interesting to me over the last 6 months, as I have been growing my hair out. So I decided to share my research, plus what’s working for me with all of you. This was the first thing I started doing when I decided to grow my hair longer and I am convinced it’s one of the biggest reasons my hair is growing so fast. It’s best to only wash your hair 3 to 4 times a week. I have very dry hair and started to notice my natural oils doing their thing once I stopped washing it so much. If you struggle with oily hair, this might start to bother you at the beginning, but give it some time before you give up and start washing it everyday. Your scalp will start to adjust to your new washing schedule and your hair won’t get near as oily. As soon as you adjust to this washing routine, you’ll be on your way to longer hair! Day 1: Wash your hair the right way. Believe or not, you might not be able to go longer between washes because you’re not washing it correctly in the first place. (Guilty!) After reading this article, I changed the way I wash my hair and it truly makes a difference. My favorite tips were to be gentle with your hair while washing, only apply conditioner mid-lengths to tips and end with a cold water rinse. If you decide to shower on Day 2 (some people who suffer from very dry skin or the “oops I woke up late AGAIN” syndrome only shower every other day) pin your hair up gently while you shower to keep it from getting wet. You can also use a shower cap. Since I have very dry hair, all I need to do on day 2 is give it a little volume with a little teasing, possibly a small curl refresh with my curling iron and I’m good to go. If you have oily hair, you might want to add a little dry shampoo on day 2. 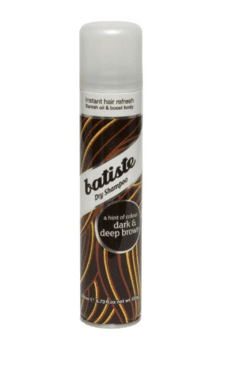 If you have dark brown hair, I highly recommend Batiste Dry Shampoo for Dark Brown Hair. It has a hint of color, which complements your dark brown hair and helps blend in root regrowth, and also keeps your hair from getting that ashy look some dry shampoos leave. It’s an ingenious product really. They also have options for blonde hair, medium brown hair and one called fresh without any color. This is my messy bun day for a couple of reasons. I can’t stand the way my hair feels on my neck after not washing it for a couple of days. It just seems to cling to my neck and drives me mad. The other reason is this is the only hairstyle that looks good on me after two days of no washing. My hair also has the perfect texture for the perfect messy bun. To get the perfect messy bun, I tease it at my crown and sides a bit. Then I loosely pile it on top of my head and wrap my hair into a bun with these little bands. I pull a few strands out on the sides and loosen it up a little in the back if I need to. I’ll also pull at the bun itself to make it a little looser and fuller. I love messy bun days. So simple. This is the day I either have to wear a hat or wash my hair. And since I look absolutely ridiculous in hats, I wash my hair. And I wash it like this. My heating tools and I go way back to the late 80s. Sure, I’ve replaced them many, many times since then – but my love for hair tools goes way back and breaking up is hard to do, right? I will always until I can’t physically style my hair anymore and then I’ll hire someone to do it, use heat tools to get the looks I want. My hair is between curly and straight. It’s sturly. Ha! I just made that up. Anyway, my natural hair texture is just not pretty, so it gets the heat. But, I have learned how to use heat sparingly, because doing so really does help your hair grow longer. 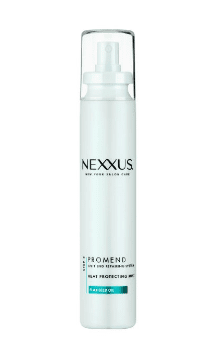 I also use heat protectant products like this one from Nexxus. I’ve switched from using creams to mists. The creams weighed down my hair, while the mists helped my hair keeps its volume. I always style my hair with heating tools on day one. I try to skip on day two if at all possible. And day three it’s the messy bun like I mentioned. Using heating tools on your hair causes damage and breakage, which in turn keeps your hair from growing faster. So use those tools sparingly! Getting the actual trim does not result in your hair growing faster. Instead, the trimming of split ends, catching them before they work their way up your hair strands will help in the long run. How, you ask? 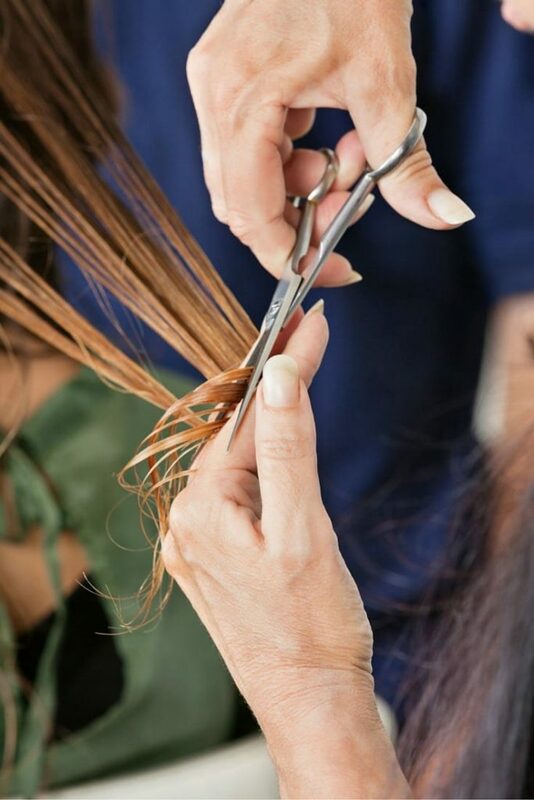 The longer you wait to get your split ends trimmed, the farther they make it up the strands of your hair, causing you to have to get more cut off when you actually do get in to see your stylist. The bottom line is to go in for regular trims every 10 to 12 weeks (every 6 weeks like I’ve always been told isn’t necessary if you’re taking care of your hair). Let your stylist know you’re trying to grow your hair faster and longer, and to only take off 1/8 of an inch — if at all possible. She/he will understand and if they don’t…it’s time to shop for a new stylist! Just like your face needs a mask, so does your hair. Conditioners you use in the shower touch only the surface of your hair. Hair masks can help repair damage done to your hair throughout the week, from the styling tools and products to environmental wear and tear. You can do a DIY hair mask or purchase one. Just know that after you do a mask, you’ll need to wash your hair. I like to block off Sunday nights for longer hair care and beauty routines because I always wash my hair Monday mornings. It’s just a nice way to kick off a new work week. Part of growing your hair faster and having healthy hair is giving it good nutrients. That’s a super important part of this whole process! You can take supplements, which I’ll cover in a minute, but the more good foods you can eat, the better. If you’re wanting to lose weight or gain energy and you do one of those popular cleanses, just know you’ll be depriving your hair of nutrients it needs. Hair growth while doing a cleanse is very slow going. 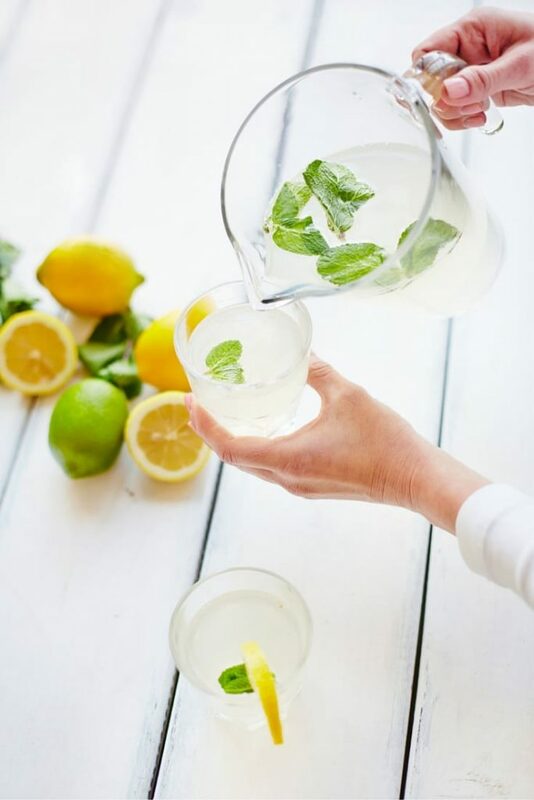 The more you hydrate yourself the better and not just for rapid hair growth! Drinking more water is essential to overall health. Try to drink 8 cups of water a day and track it. Take a picture of your hair and remember how your nails and skin look. After about 4 weeks to several months, you will notice a difference in all of these. As an added bonus, you’ll have more energy and mental clarity. Water is something so simple that we can drink more of and in turn, it helps improve so many things. In order for your body to create new hair, you need a lot of nutrients and most of us do not get enough from our everyday diet. If you feel like you’re not getting enough nutrients from the food you eat, I would recommend taking a supplement or two. 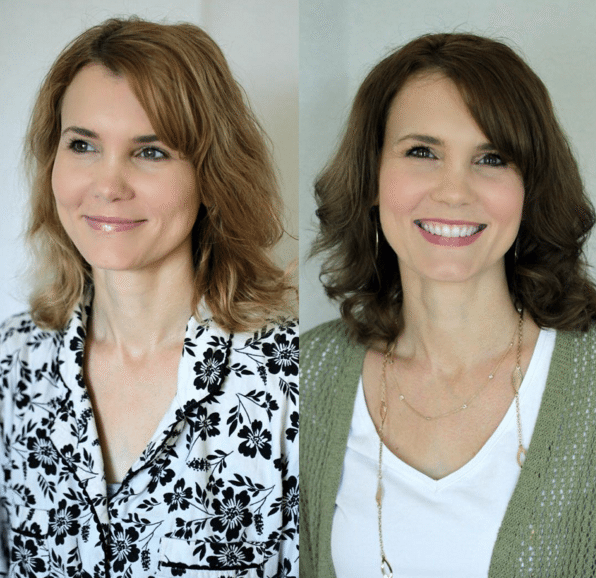 I took Viviscal and Biotin for 3 months and noticed a big change in my hair — from the growth to the health of it. I plan to start both up again and can’t wait for the results. It’s best to check with your doctor first to make sure you’re taking the right amounts. Viviscal already has Biotin in it, and you don’t want to overdo it. There’s quite a bit of information about Viviscal on their Amazon page here. 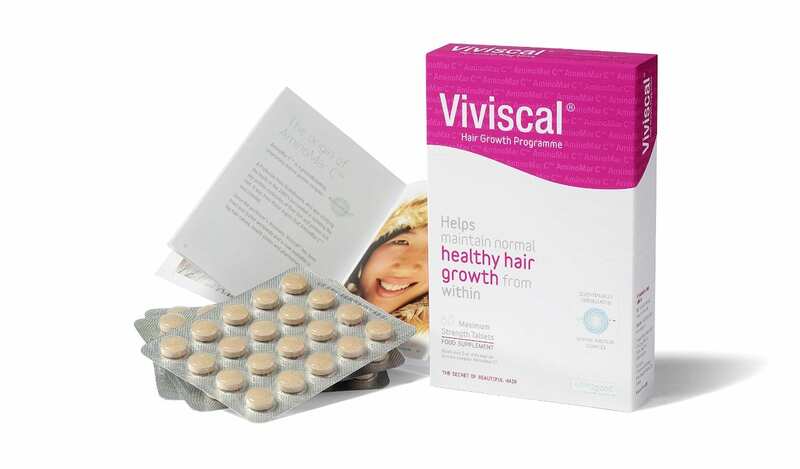 I also wrote about Viviscal and how to get healthy hair here. It’s time to ditch that cotton pillowcase ladies! Silk is so much easier on your hair while you sleep. It helps to avoid breakage and tangles while you sleep, which in turn keeps your hair healthier and allows it to grow faster. Here are several to choose from. Stay away from harsh chemicals from things like perms, relaxers and hair dyes. All of these can make your hair brittle, causing it to break, which is obviously not good when you’re trying to grow your hair faster and longer! Do what you can to go longer between coloring your hair. Head over here where I wrote about ways to make your at-home hair color last longer and to read about my experience with AGEbeautiful. Long exposure to the sun can strip your hair down and cause damage over a period of time. If you know you’ll be in the sun for a long period of time, wear a cute hat or use a UV protective spray. This is your time to rock that floppy hat! You’ll look cute and be protecting your hair, all at the same time. Win-win. Our hair grows faster when the natural oils are distributed and the best way to do this is to gently brush your hair. I brush my hair in the morning and right before I go to bed. Be sure to use a good brush like this one, that’s gentle on your hair and helps to distribute those oils. Also avoid brushing your hair while it’s wet, as that can cause your hair to break. Alright — you now have tips and tricks on how to grow your hair faster. Are you ready? I’m ready! Let’s do this, shall we?! Tell me what tips you’re going to implement first and I’ll update you on my hair growth through the process. Good luck! What an awesome resource guide! Consider yourself pinned! This is awesome. My hair is so thin and it just disappears on the ends. I keep it short, but it is still sooo thin and I also have the frizz issue. I try to only wash every other day, but I can’t go more than that. Again, so thin, and too short for a decent looking ponytail. I wish I could do the messy bun. I hate the hassle of washing and drying, so I’d be happy to go longer. I’ll try it! What a great post girl! Love the tips, especially for people that can’t grow their hair quickly. Totally keeping this around as a great reference. What tips do I implement? I’m all about the water! As a 30 year licensed cosmetologist, I can’t stress enough that in order to get hair to grow is to stop abusing it. Trimming hair cuts it, period. Over indulgence in chemicals, heat appliances, lifestyle are a woman’s culprit. My advice is to change habits. Great job MomFabulous! Hi, I was wondering how much Biotin you took per day. I’ve been taking 2 5,000mg pills a day, one in the morning and one at night, for about three months now and have not noticed a change in my hair growth. Great post! I’m trying to grow out my locks. Thanks for the tips!